"My mission in life is to give people the freedom to pursue any athletic endeavor for their entire lives, pain-free." Jeremy Abramson’s purpose in life is to cultivate community and create a lifelong impact in people's lives. After moving his entire life to Florida, overcoming being homeless, and losing what at the time he considered his dream job, he founded E3 Lifestyle. The E3 Lifestyle brand combines Abramson’s knowledge of the mind and body, with his passion for helping others. As the Chief Energy Officer, he is dedicated to helping others unleash their full potential. Abramson has received some of the most coveted certifications in the industry and studied alongside elite professionals like Wim Hof, Aubrey Marcus, Ben Greenfield, and Lewis Howes. Today, Abramson travels the world optimizing the health and happiness of athletes, government officials, youth, and high-level CEO’s. His customized training, performance, and mindset practices bring out the full capacity and productivity of his clients. The most recent aspect of E3 brings wellness directly into the workplace. He has been brought in as a speaker by brands like WeWork, Capital One, and Miami Made to implement his wellness training programs and inspirational speeches. As a philanthropist, he makes giving back a priority, talking to youth at several local non-profits. In 2017, he partnered with Maison Fortuné Orphanage in Haiti and returned for a second trip the following year. As his business and digital following continue to build, his influence follows. 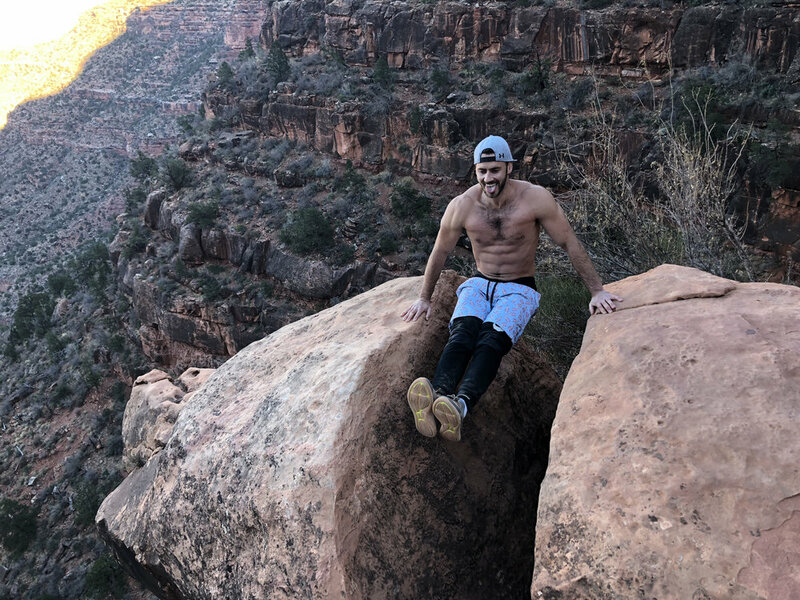 In January 2019, he rolled out his first highly anticipated online program, CLIMB. The program aims to optimize your human experience through habit change and self-awareness. It has already been recognized as one of the most impactful coaching programs in the industry. You can follow more of Jeremy's journey on Instagram @coachjeremy305.